Gillyholme L'estrange Bed and Breakfasts. Compare latest rates and Live availability for all your favourite places and places you have always wanted to go using our new My Shortlist feature. Click + to add to your Shortlist. 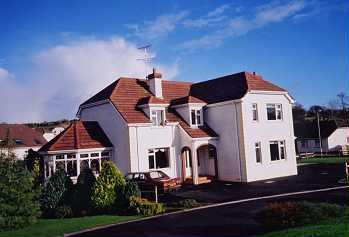 Bed and Breakfasts in Gillyholme L'estrange, County Fermanagh for 1 night from Fri Apr 19, 2019 to Sat Apr 20, 2019 within 10 miles, in an Average Nightly price range of £1 to £200. This 5-star luxury hotel boasts 2 championship golf courses, a Thai spa, and an infinity pool, situated on the Lough Erne resort. Rooms have luxurious furnishings and lake views. Rooms at the Lough Erne Resort feature Irish linen, bathrobes and slippers and Egyptian cotton towels. Some rooms offer free-standing baths and rain showers. Lough Erne's 400 acres of grounds including walking and jogging trails, fishing and a golf course designed by Nick Faldo. Professional golf tuition is available at The Faldo Academy, a state-of-the-art practice and tuition centre. Lough Erne Resort offers a wide range of dining options, from The Catalina Restaurant to The Loughside Bar and Grill. Afternoon tea and an exclusive range of Irish whiskies are also available at the resort. The Thai Spa offers massage, beauty treatments and traditional Thai therapies. It features a sauna, steam room and relaxation rooms. A heated indoor swimming pool and gym are also available.